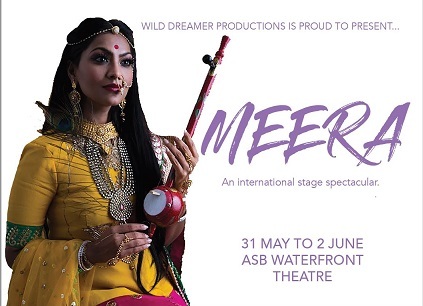 A never-before-attempted story of ‘Meera’ and her impeccable love for Lord Krishna will be theme of a quality production that will be staged from May 31, 2019 to June 2, 2019 at ASB Waterfront Theatre in Auckland’s Wynyard Quarter. What better way for theatre enthusiasts and lover of art (and of course romance!) to spend the long ‘Queen’s Birthday Weekend’ than to watch the story of love and devotion? Meera promises to be a high-calibre production that would captivate your attention and take you on a journey of relentless love and passion towards Lord Krishna. Gold Coast (Queensland, Australia) based ‘Wild Dreamer Productions’ Director and Choreographer Aarti Bajaj, who plays the lead character, is keen to present ‘Meera’ to New Zealanders in its true artistic form. She said that it is the local community that truly creates a stage show with a difference. 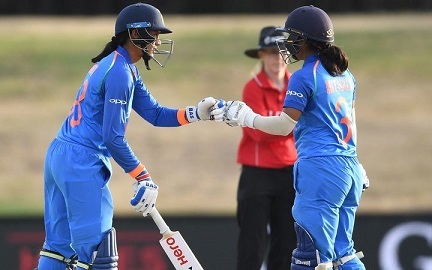 “There will be a total of six shows across three days to allow all art lovers the chance to see and become a part of ‘Meera.’ If you love, love and if you are fascinated with the arts, this show is for you and for everyone you know,” she said, speaking to Indian Newslink during her visit last month. ‘Meera’ has been a source of inspiration and endearment to thousands of enthusiasts across the Tasman and its creators are now keen to evince the interest of New Zealanders. A bold love story originating from the 16th Century India, ‘Meera’ follows the life of a young Princess on her endless, yet beautiful journey of love with the Hindu God, Krishna. This is a story told through mesmerising dances, strong theatrical scenes and confluence of numerous other artistic forms of expression. “Meera is a love story like none other. Keeping a strong balance of a musical theatre production, it is more than just acting on a theatrical stage. This love story and its passion are told through dances such as ballets, Indian Classical dances, aerial and pole. The art forms showcased on stage, along with the passion of each and every cast member makes Meera a show that you will never forget,” Team Meera publicists said. Along with a selected few cast members from Gold Coast (Queensland Australia) ‘Team Meera Auckland’ has recently been cast a variety of local amateurs and trained professionals alike to bring the stage to life. As a show from a production house that shines its spotlight on the talent of future creatives, ‘Meera’ will break the boundaries of arts. 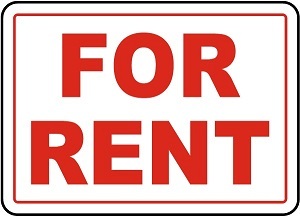 Aarti said that with countless opportunities for growth and development, our network is continuously growing. “We are enabling and encouraging the next generation of creative professionals with an opportunity to expand their artistic potential. Our aim at Wild Dreamer Productions is to foster the growth of the next generation of artistes and creative professionals and work with them to learn, collaborate and be able to produce truly amazing artistic works of expression. That is our aim, our vision and our pledge to the arts,” she said. Wild Dreamer Productions is a production house with a soul. It works with talented and passionate individuals all around the world who consider themselves to be Wild Dreamers. Led by Aarti, the Production House began its first journey of Meera, helping to make this vision a reality. Performing to over 1000 people at the Home Of The Arts (HOTA) in Gold Coast last November, it comprised a local cast of over 300 amateurs, professionals and arts-lovers encouraging the audience wanting more. -With Reporting by Kyla McLean, Sponsorship Manager and Marketing Director, Wild Dreamer Productions.